WHY IS SKIPPACK SO AWESOME? What makes the small town of Skippack, Pennsylvania one of the most beloved small towns in the Philadelphia region? For starters, its rich history is ingrained into the personalities and residents who fill its charming streets. Visually, the town is decorated with a string of small businesses who along with many others, support and give back to our local community. Its the kind of town where total strangers go out of their way to give a wave, say hello, or wish you a great day. You’ll find that just about all the business owners who operate here are also residents themselves, or who all share a deep passion for Montco’s most beloved village. With its origins dating all the way back to 1683, the celebrated history of Skippack is filled with amazing tales of its storied progression. In fact, Skippack is one of the earliest historical towns in Montgomery County! Thanks to the charter of William Penn and his crew, the village of Germantown was first established, with Skippack soon to follow. Mattias Von Bebber, a Dutch merchant, purchased more than 5,000 acres of land which included the Perkiomen Creek and Skippack area. Of course, before any of these historical figures arrived in the Delaware Valley, they were populated by thousands of Lenape Indians. The name Skippack itself is derived from the word “Schippach”, a Lenape term meaning “wet lands”. Their history here can still be seen all across Montgomery County! The small village was also one of General George Washington’s encampments during the Revolutionary War. His troops were stationed here right before the Battle of Germantown, as well as during George’s infamous stay at Valley Forge. This important period in our history lives on with a Revolutionary War encampment reenactment held annually on the Indenhofen Farm, a restored 18th-century homestead with important ties to Skippack’s beginnings. The first store in Skippack was opened in 1795, creating the start of what would soon be a thriving shopping destination for our residents. Thanks to a mixture of creativity, passion, love of craftsmanship, a warm atmosphere and wide variety of specialty shops, Skippack has always had an identity all its own. One that is based off of love for their small town and the people who fill it. Our county deserves to know everything new and exciting that’s happening here, and we’re looking forward to showing you why now is a better time than ever to visit! We’re turning the spotlight on Skippack for an up close look at some of the hardworking businesses, organizations, and people that make this community so special. The small village has been rejuvenated with new products from brand new businesses, and staple stores. This is Skippack Happening. Explore the beauty of Skippack; go behind the scenes at some of the businesses that make this town tick; and learn about the latest developments going into improving the community! If you’re looking for high end designer names at a fraction of the cost, the Skippack Hope Chest is where you want to look! Check out how the small business owners are keeping hope alive in their Skippack Village boutique. Providing our residents with “artistry that inspires the soul”! That is Armario’s goal, one which they are reaching by offering their customers hand made, purpose based pieces. The spice is right at Carisma Restaurant! This vibrant, family owned and operated Mexican restaurant has brought flavors from across Latin America to your plates in Skippack Village! Honoring the history of Amelia’s Accents, while ushering in a new and exciting store front of her own. Accent On the Rocks has brought an exciting new spin to a Skippack staple. 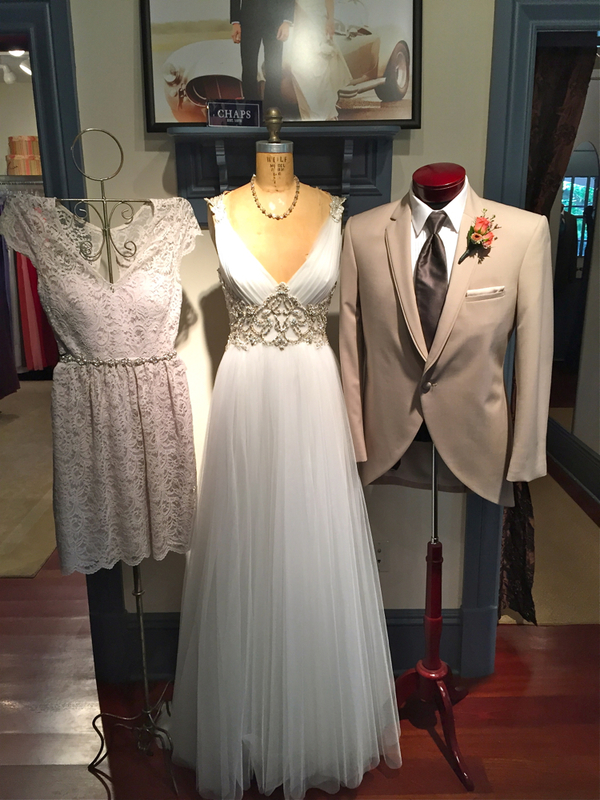 No matter what the occasion, Harleysville Bridal & Tuxedo Shoppe and Page Six…its Haute is here to make sure all their customers are dressed to impress for their big events, weddings and celebrations. The picture is all but perfect at the studio of one of Montco’s most accomplished and creative portrait photographers. Helping shape creativity one piece of clay at a time! Learn more about Black Sheep Pottery and how they are teaching and empowering our local residents through the art of self expression. Keeping Montgomery County happy one smile at a time. Meet the incredibly kind and professional staff at Skippack Village Dentistry. A huge contributor to the Skippack community, The Wooden Duck Shop has continually progressed their store into a must stop destination for amazing gifts, clothing and jewelry. Italian food at its finest. Learn more about Chiaro’s, one of Skippack’s longest standing restaurants and Skippack food destinations. Its all in the family! A haven for locally made artisan pieces. From metal work to pottery, clouting to one of a kind jewelry, the Artisans Nest is a homecoming for customers looking to find intricate, handmade art. Preserving the history, memories and culture of our are through amazing local products, that is the model of success for Pennsylvania Traditions. Upper Merion Township Celebrates it’s 300th Birthday!! !